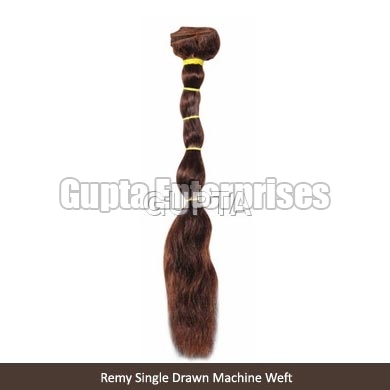 Owing to our vast experience in this domain, we become able to provide a wide collection of Remy Machine Weft Hair. Made using superior quality human hair, our Remy Machine Weft Hair is free from chemicals and dyes. Remy Machine Weft Hair is widely acclaimed for its shiny & soft texture, bouncy look, light weight and detangled attributes.